Between the world wars, the US Army sought to improve the tactical mobility of its forces. 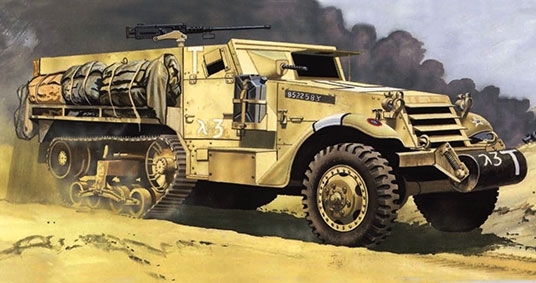 With the goal of finding a high-mobility infantry vehicle, the Ordnance Department had evaluated the half-track design by testing French Citroën-Kégresse vehicles. The White Motor Company produced a prototype half track using their own chassis and the body of the M3 Scout Car.